All of our products are assembled and tested in our ISO 9001: 2008 facility in Fremont, CA, undergoing stringent quality oversight enabling Arista Corporation to provide a two (2) year depot warranty for all computer products and three (3) year depot warranty for all display products. We work on the embedded long roadmap enabling 5+ years continuity of supply and support, complemented by a comprehensive stringent revision control process. The European Union adopted Directive 2002/95/EC in February 2003 that restricts and prohibits the use of heavy metals (lead, mercury, cadmium, and hexavalent chromium), polybrominated biphenyls (PBB) and polybrominated diphenyl ethers (PBDE) in new electrical and electronic equipment shipped after July 1, 2006. All new products under development at Arista Corporation meet the directive’s requirements. Founded in 1994 and headquartered in Fremont, CA, with operations in China, India and Taiwan. Arista Corporation is committed to the highest standards of product development, engineering, manufacturing and customer support. 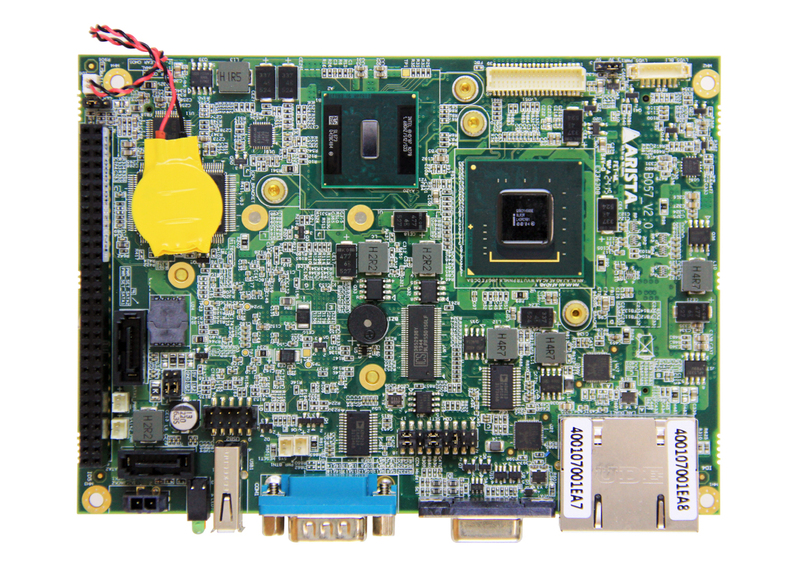 Our extensive product portfolio includes Industrial Panel PCs, Industrial Monitors & Displays, Box PCs & Fanless Embedded Computers, Rack Mount Computers, ACP ThinManager Ready Industrial Thin Clients, Embedded Industrial CPU Boards and Video Extender/Switches. We have been providing Industrial Panel PC platforms for more than twenty years providing off-the-shelf, full turnkey integration services, and custom ODM/OEM design and development services. Our ODM/OEM capabilities help our customers meet exacting specifications and requirements at an affordable price and quick time to market in harsh operating environments.